Zack Snyder continues his quest to explain every one of his decisions in Batman v Superman, much like Rian Johnson and The Last Jedi. Snyder has been upping his social media presence lately, answering many fan questions and confirming or denying rumors. The latest confirmation from Snyder has to do with the Flash in Batman v Superman and the Knightmare Timeline, letting fans know that they are on the right track in a pretty cryptic social media post that took some deciphering from fans. In Batman v Superman, Ezra Miller's Flash character makes a cameo to warn Bruce Wayne of the future after the "Knightmare sequence." The scene was a major talking point when the movie came out two years ago and it left many DC fans confused. The scene in question features Batman taking on Parademons in a dusty city. He is later captured, and when he wakes up, he sees a bunch of henchmen with an S on their suits. Then, a dark Superman arrives talking about the loss of Lois Lane. The Flash comes to Batman to give him a message about Superman, but he's too early. When asked about the Knightmare sequence on Vero, Zack Snyder answered with a rather cryptic response. However, after some decoding, fans learned that Snyder is indeed confirming the Knightmare Timeline of the Flash. It appears that Snyder went to some pretty unexpected places for inspiration while making Batman v Superman. He had this to say. "What were we doing when we unchained this earth from its sun? Flash is the madman who's time is not yet and heralds a future where God is dead." Zack Snyder's answer about the Knightmare sequence in Batman v Superman doesn't look like much, but the DC fans on Reddit went right into detective mode to figure out exactly what Snyder meant. As it turns out, the director was quoting German philosopher Friedrich Nietzsche in the first line of his post. The quote is reportedly from The Parable of the Madman as is the line having to do with the Flash, and the Reddit DC community seems to believe that it's a metaphor for the relationship between Lois Lane and Clark Kent. This is a lot to unpack, but it certainly makes sense and is a pretty cool way of letting the fans in on a secret. 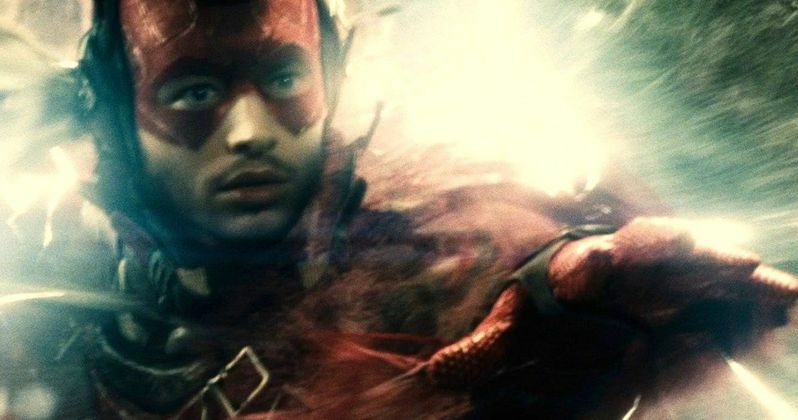 The Flash from the Knightmare Timeline saw Superman "die" after he lost sense of who he was, according to Zack Snyder. Superman blames Batman for the death of Lois Lane in Batman v Superman when he says, "She was my world, and you took her from me." There seems to be a lot that Snyder purposefully hid from fans, waiting for them to figure it out on their own through detective work. Hopefully Zack Snyder continues to explain certain elements of Batman v Superman to help see what his vision of Justice League would have ended up as. You can check out the Vero post over at Reddit.